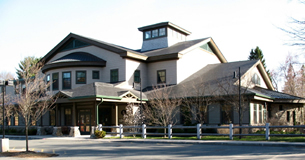 The Hamilton-Wenham Public Library offers a variety of book groups that meet on different days at different times. If you have any questions please call the library at 978-468-5577.
large collection of book club kits that you can check out. and place holds on book kits for your own book club! Join us for book discussions with Library Trustee Doris Gallant. This book group meets the fourth Monday of each month from 7:15 to 8:30 p.m. Meetings are held in the large meeting room on the first floor. This group is currently at capacity and is closed to new members. Click here for more information. Meets the first Tuesday of each month at 7:00 p.m. Speculative fiction is a broad category that includes science fiction, fantasy, horror, and other examples of fiction with supernatural, fantastical, or futuristic elements. Click here for more information. Come for a lively discussion with librarian Amy Dziewit. The group meets the third Tuesday of each month from 11:30 to 12:30 p.m. Coffee, tea, and dessert will be provided by the library, plus something extra that is inspired by the book. Meetings are held in the local history room on the second floor. Click here for more information. Meets the first Wednesday of each month at 7:00 p.m. This group is led by Dede McManus. New faces are very welcome. Click here for more information.